Ji Ji Kiki was founded in 2008 and is run by a lovely girl called Emma. The site sells a range of handmade items such as clothing, homeware and of course jewelry working with indie designers around the world. I was lucky enough to be given the opportunity to review one of their animal necklaces and I choose the origami fox face as it's small and delicate. 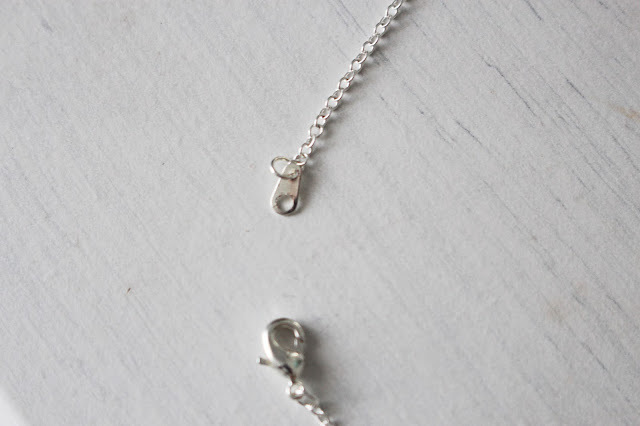 The necklace is quite short with an 18" silver plated chain and the fox face being so tiny, it makes it a really nice lightweight piece which I think is much nicer to wear in the hot weather than big statement necklaces which can be quite heavy. I've really started getting into wearing necklaces of this style as I've found their perfect for pairing with a plain tee to add a little detail to the outfit. Ji Ji Kiki's range of necklaces is absolutely huge, they also have gorgeous earrings, funky rings and cute bracelets, including lots that are currently on sale. They also do mystery bags where you pay a set amount and have the chance to receive a selection of jewelry pieces. I would definitely say their designs are varied, so if you don't like this necklace then don't be put off, once you get on their website you'll be spoilt for choice! They've also given me a 15% discount code 'COLOURFUL' for you to use if you like anything on the website.